Had one too many cookies during the Holidays? Too busy to get to the gym? This quick and effective at home workout leaves no room for excuses – just gains. Push Press – Dumbbells or Bar set as a shoulder press, Squat and press overhead as you stand. Step Forward Lunge with a Twist –Right step forward, right side twist. Do 10 then switch sides. Push Up to Reach Under – 1 push-up (feet open wide), then reach the right hand under toward the left foot, and then the left under toward the right foot. Repeat pushup reach under. Side Plank with Rotation – Side plank from your elbow, use the opposite arm to reach underneath your body, and then open up toward the sky. Burpees or Up Downs – Reach down for the ground, plant your hands, jump your feet back, into a pushup position, hop your feet back in and stand up. 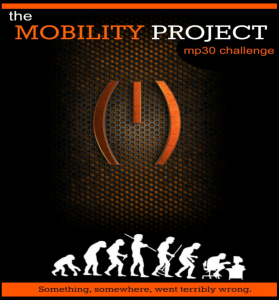 For more information on training and fixing your body check out MobilityProject.fit.